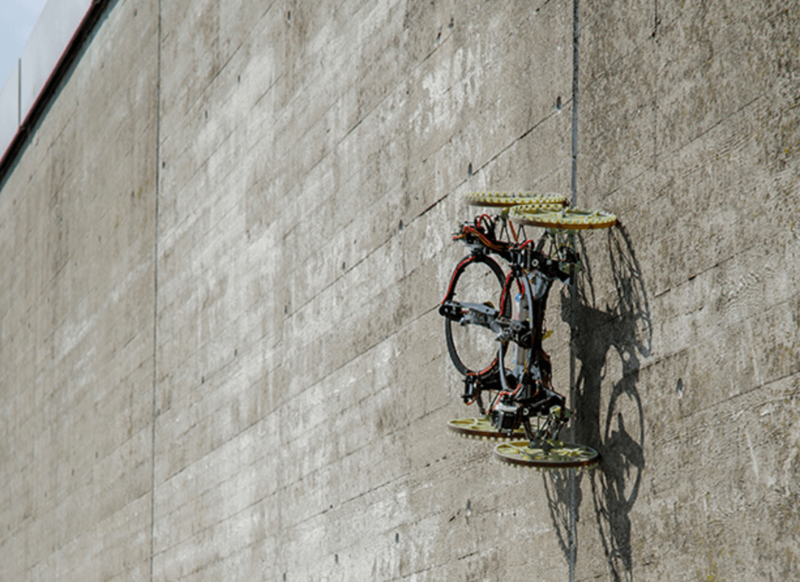 Created in collaboration between Disney Research Zurich and ETH, VertiGo is a wall-climbing robot that is capable of transitioning from the ground to the wall. This new robot is made out of carbon fiber and 3D printed parts. The robot has two tiltable propellers that provide the thrust needed to climn onto the wall. One pair of wheels is steerable, and each propeller has two degrees for adjusting the direction of thrust. One propeller applies force toward the wall, while the other forces the vehicle in an upward direction. The VertiGo robot climbing on walls. Read more about the VertiGo here.